Pssst.. it’s pink and metallic. 2017 marks 30 years since the conception of the Air Max design and Nike is keeping things fresh with silhouette and color iterations. 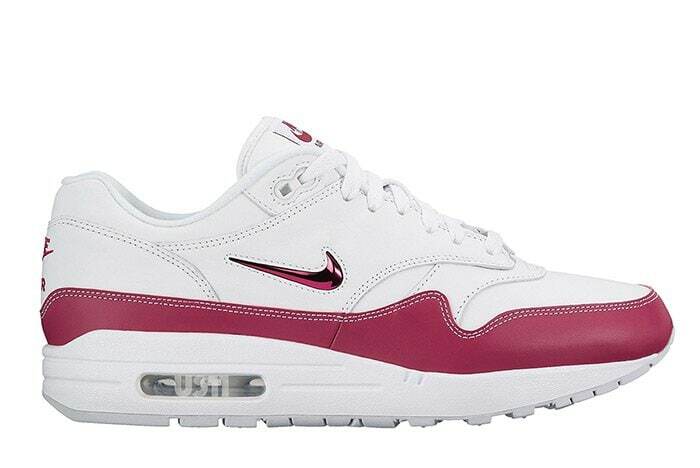 On Wednesday, photos via footwear news site Sneaker Freaker appeared, confirming an upcoming release of the Air Max 1 Jewel white/magenta colorway. Unlike previously released models, the swoosh on this pair is metallic, adding a dazzling sparkle effect. Details on the new Nike Air Max 1 Jewel drop are not yet available, but in the meantime, check out the released versions in black/white and white/carolina blue.